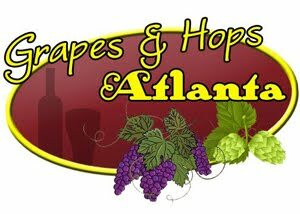 Ian & Susan Mendelsohn announce their plans to open "Vine & Tap" in the Lenox Village shopping center located on Lenox Road in Buckhead. The wine bar, set to open mid-July, will offer a variety of wines to appeal to every palate, local and regional craft bottled and tap beers, and Mediterranean-inspired small plates. While living in New York, Ian Mendelsohn was sommelier at Windows on the World followed by five years of running the wine department at Christie’s Auction House. In 2004, Ian moved to Las Vegas to open the Wynn Hotel and then served as Wine Director of the Mirage Hotel and Casino. Ian moved to Atlanta in 2010 to take over as Beverage Director of the St. Regis Buckhead. Mr. Mendelsohn is also one of a very small number of people in the state of Georgia who have passed the Diploma examination of the Wine and Spirits Trust. The menu – conceived and directed by Zeb Stevenson, chef of The Livingston and a friend of the Mendelsohns - will be comprised of assorted cheeses, charcuterie, salads, oysters, panninis, bruschetta, small bites and desserts. Vine & Tap plans to serve lunch and dinner Monday through Saturday and will be closed on Sundays.